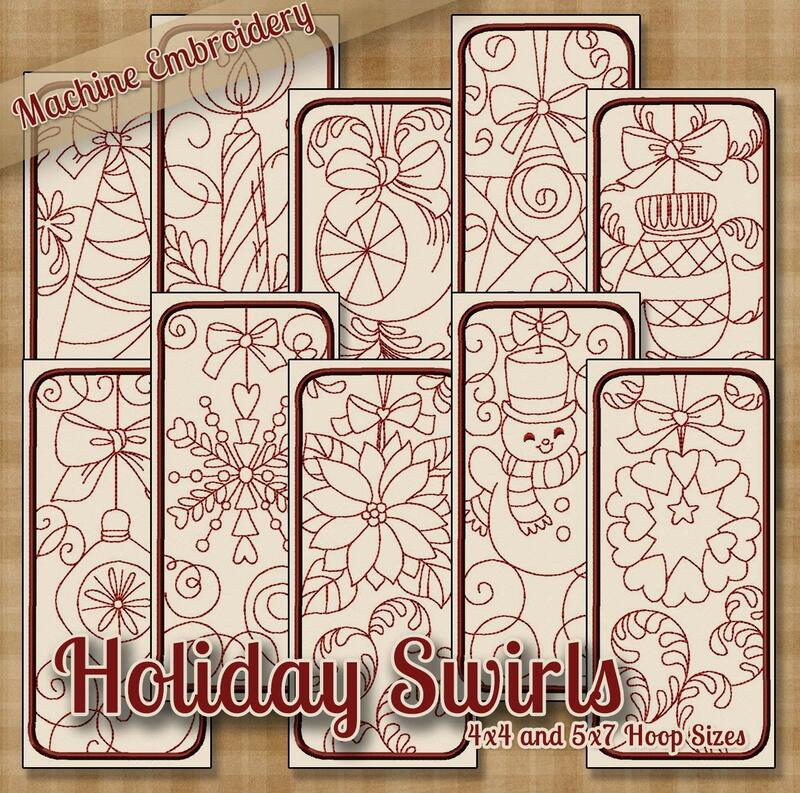 Beautifully detailed redwork patterns for your embroidery machine. Of course you are not limited to ‘red’ for the lovely designs – they can be stitched in any color to match the surrounding fabric or decor. All designs are of a Christmas theme including a tree, candle, ornaments, mittens, stars, snowflakes, flowers, wreaths and a snowman. See the product image for all designs. 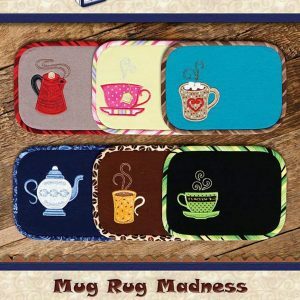 Although the design can indeed be completed in all one color, we have added a color stop after the main design (before the satin stitch border is sewn) so that these designs can be completed with or without the border. 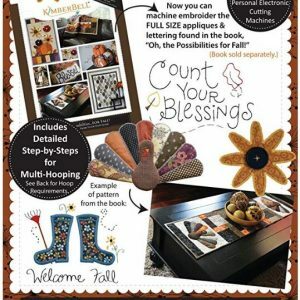 Both sizes are included – designs for the 4×4 machine embroidery hoop, as well as the files for the 5×7 hoop. 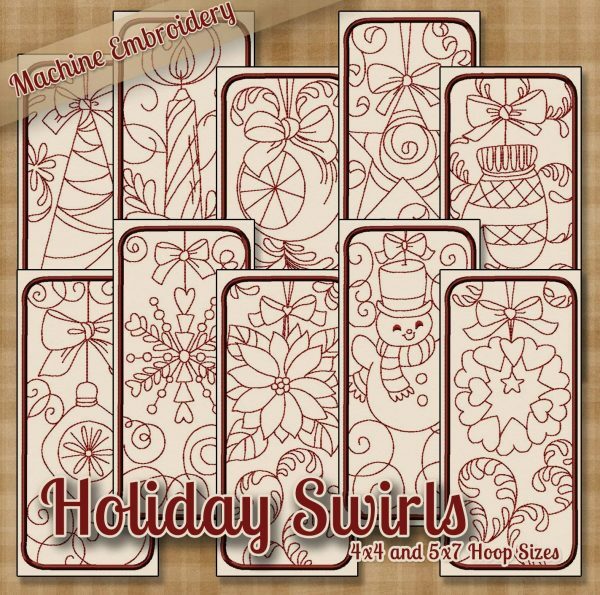 These designs work great for outline quilting designs as well. This set would make an adorable small quilt or wall hanging. 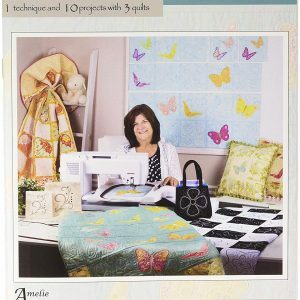 With 10 designs, you can sew one of each and make a delightful quilt or wall hanging. Add some sashing between each block and a border and you have an adorable quilt.